Today's VIS image shows a section of Cerberus Fossae. 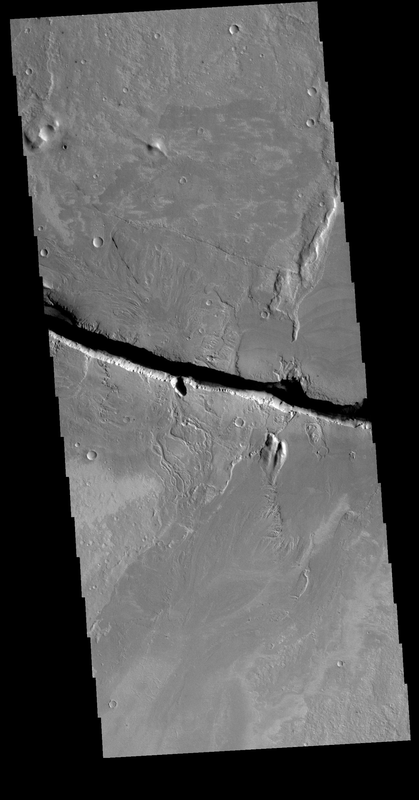 Located southeast of the Elysium Planitia volcanic complex, the linear graben was created by tectonic forces related to the volcanic activity. The fossa cuts across features such as hills, indicating the relative youth of the tectonic activity. This fossa is also the source of several channels, some of which are visible on the lower half of the image.